Kesha lay screaming in a hospital bed. Doctors and nurses were all rushing around her; covering her in bandages, trying desperately to stop the bleeding. Kesha didn&apos;t care though. She was beyond caring whether she lived or died. Demi was gone. Again. Nothing else mattered. "DEMI!" She screamed, still struggling on the bed. "GET YOURSELF BACK HERE RIGHT NOW AND FIX THIS! YOU&apos;RE SUPPOSED TO FIX THIS! WHERE ARE YOU NOW, LOVATO?" For one unrealistic moment, Kesha expected Demi to come rushing in and hug her. "Not again," Kesha thought fearfully. "Don&apos;t let me down again... Please..." This was the last thing Kesha thought before black spots began invading her vision and her world began to disappear. "Ouch!" Kesha screamed, clutching her now bright red cheek. She glared at her mother, who&apos;s back was now to her. It was better to glare than to cry, she figured. This was happening more and more often, one of her parents getting angry and lashing out at her. It wasn&apos;t fair, she was only ten years old! Kesha ran up to her bedroom, barricading herself in. She began throwing her belongings around the room, crying out in anger as she did so. "It&apos;s not fair! Why is it okay for people to hurt me?" She cried furiously. By now there wasn&apos;t anything left for Kesha to throw. She began tugging at her hair and yanking her nails down her arms, drawing a little blood. This was a coping mechanism that Kesha had been using for years now, but it wasn&apos;t working very well at that moment. "It&apos;s not enough," she thought. 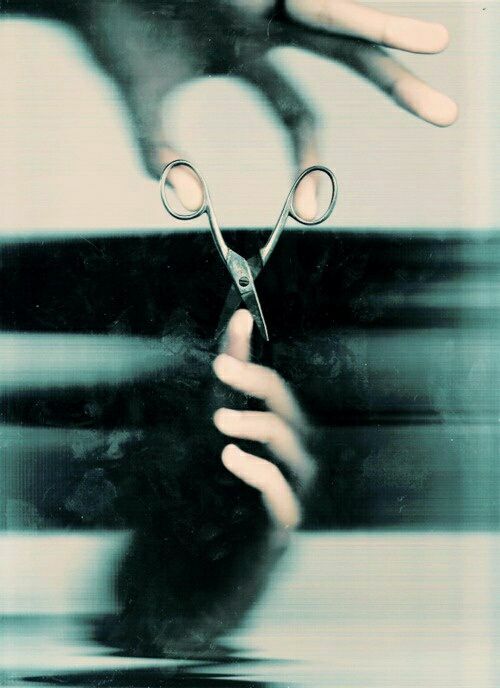 Her eyes scanned the room, landing on a pair of open scissors. Kesha stared at them, holding them tlightly in her shaking hands. "It&apos;s okay," Kesha whispered. "It&apos;s okay to hurt yourself... That&apos;s what she said." Then Kesha closed her eyes and dragged the scissors against her skin for the first time. And she never looked back. Kesha found herself drifting in and out of conciousness as doctors tried to keep her awake. Her body was exhausted and was begging for rest, but the doctors didn&apos;t know if Kesha would be strong enough to wake up again. "The last thing we need right now is a coma," the main doctor explained to the rest of his team. "A COMA?" A shrill voice croaked out. The team spun around to see a small woman standing alone in the doorway. In the corridor Kesha&apos;s parents could be seen arguing with someone else, who was hidden from their view. "I&apos;m sorry, but how did you get in here?" The head doctor asked. "That&apos;s Demi Lovato," the nurses whispered between themselves in shock. "I&apos;m Kesha&apos;s cousin," Demi explained. "I&apos;m supposed to be flying back to America right now but I got off the flight the second I heard about Kesha. How is she?" "Not good, I&apos;m afraid. She&apos;s either barely concious or screaming," the doctor said. "I&apos;m Dr Stevenson by the way, the head doctor on Miss Hart-Cooper&apos;s case." Demi nodded politely, but let her eyes wander to where Kesha lay. She was barely aware that nurses were gently leading her out. Her mind was solely focused on Kesha. Did she even realize that Demi was there? It seemed unlikely. Demi hovered by the door, not wanting to listen to her mother and aunt fight. "It&apos;s unlikely she will survive the night at this rate!" "It&apos;s like she doesn&apos;t even want to get better!" "Maybe she doesn&apos;t, this was a suicide attempt after all." "No, but it probably was..."
Demi stopped listening then, no longer able to bare it. This wasn&apos;t fair.